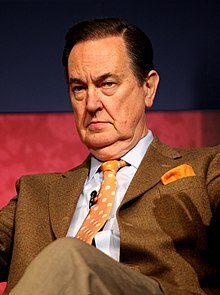 John Calvin Thomas (born December 2, 1942) is an American syndicated columnist, pundit, author and radio commentator. People who relieve others of their money with guns are called robbers. It does not alter the immorality of the act when the income transfer is carried out by government. America's most dangerous diseases have developed an immunity to politics. We suffer not from a failure of political organization or power, but a failure of love. Government has a legitimate function, but the private sector has one too, and it is superior. In other words, people are better than institutions. Sometimes people need a kick in the pants to get them to do what they would be doing if government weren't there as a perpetual parent. In violent streets and broken homes, the cry of anguished souls is not for more laws but for more conscience and character. No power on earth is greater than a mind and soul reawakened. Our Constitution begins 'we the people', not 'us the government'. The difference between the more traditional sports clubs and Congress is that Congress doesn't really compete against another team.